Nope, we provide containers for you to put your apples in. Is there a special way to pick apples? 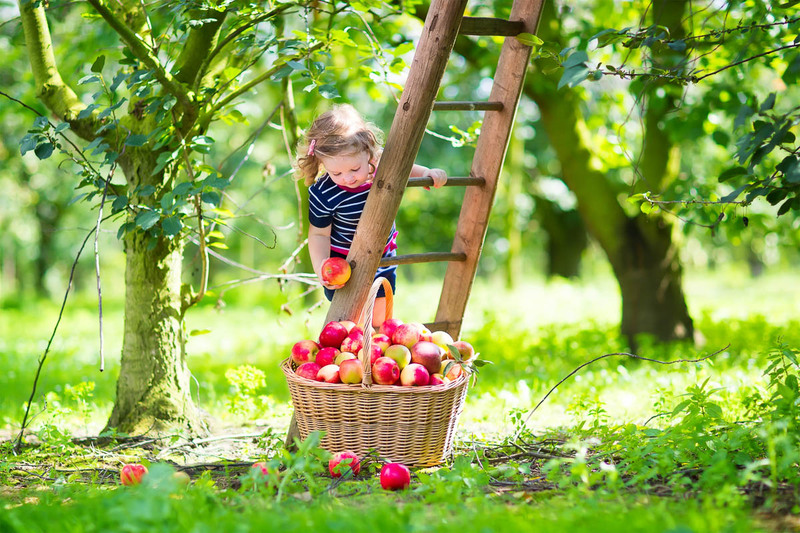 To pick an apple off the tree perfectly, rotate the fruit upwards and twist. Don’t pull down or straight, and never shake branches. Can I sample them as I am picking? Yes, especially if you are not familiar with that variety, BUT, please do so sparingly. Also note do to rules and regulations please do not place your core on the ground. Can we come check out the orchard? Absolutely! Our orchard is open to the public during regular business hours, you’re free to come take a walk, take photos and check things out. There’s no charge to photographers that would like to use our beautiful orchards to take photographs. We have two great locations available for you to stop by and pick your own apples! Both our AVEnue Orchard or Class Apple provide a different variety of apples so you can visit each based on what you’re looking for.